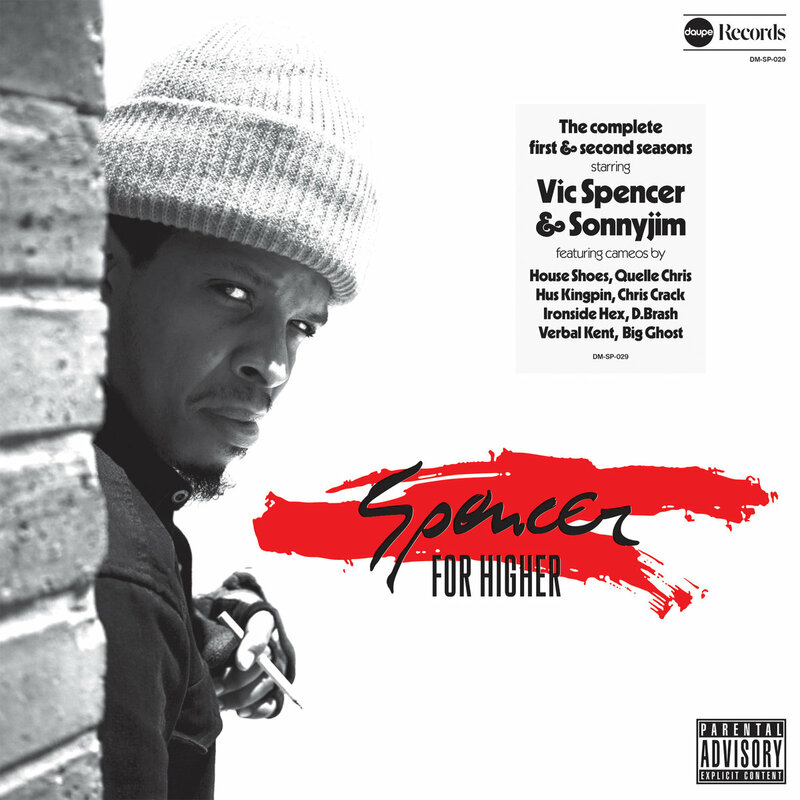 While Vic Spencer may be relatively unfamiliar to the mainstream, the rapper is celebrated as a local legend in Chicago’s underground hip-hop scene. Helped, in part, by his recent collaborations with Chance the Rapper and Vic Mensa, the rapper is finally moving towards getting the attention he deserves, and his ascent is only quickened by stellar releases like his latest project with producer SonnyJim – Spencer for Higher. Spencer’s style of rap is distinctive in the way it uses a slow, ominous delivery to create an atmosphere of tension and gravity. It is easy to tell, by his fascination with internal rhymes and unpredictable flow, that he’s an MF DOOM acolyte. When it comes to his lyrical style, the rapper shifts back and forth between old-school “gangsta” braggadocio and easy-going, often self-deprecating confessions like being horrified on realizing how much he’d paid for a pair of Yeezy Boost sneakers. With this, he seems to be, at once, paying tribute as well as making fun of the kind of music he grew up listening. SonnyJim, meanwhile, provides Vic with a backdrop of heavy, booming rhythms and a bountiful dose of jazz and soul samples.